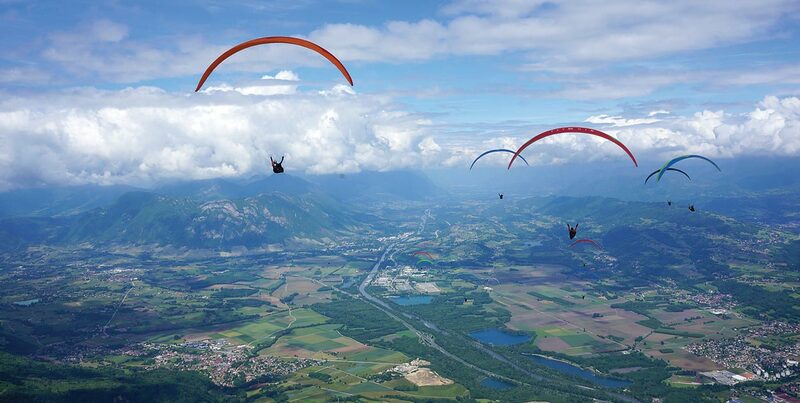 The first round of the 2019 Paragliding World Cup tour takes place at Chamousset, Coeur de Savoie, from 25 May – 1 June 2019. 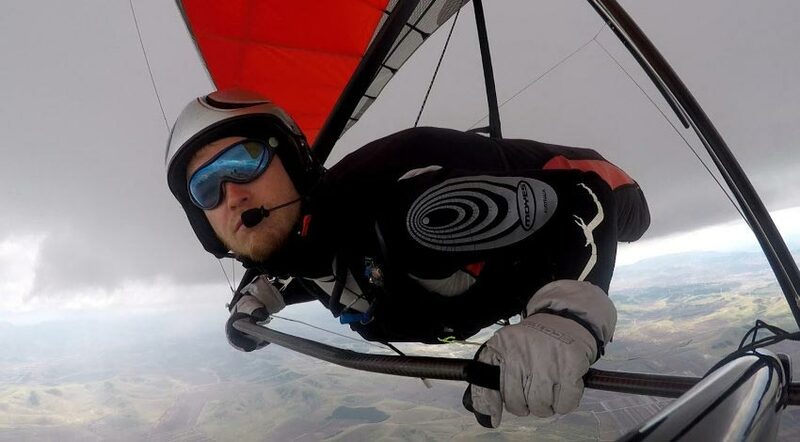 Moyes are running a trip to Inner Mongolia for hang glider pilots, comprising a week-long competition followed by sightseeing or free-flying. 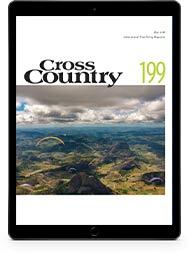 The base will be Guyuan, China, four hours northwest of Beijing, and the trip starts 6 June. It will be aerotowing, so pilots need to hold the appropriate rating. 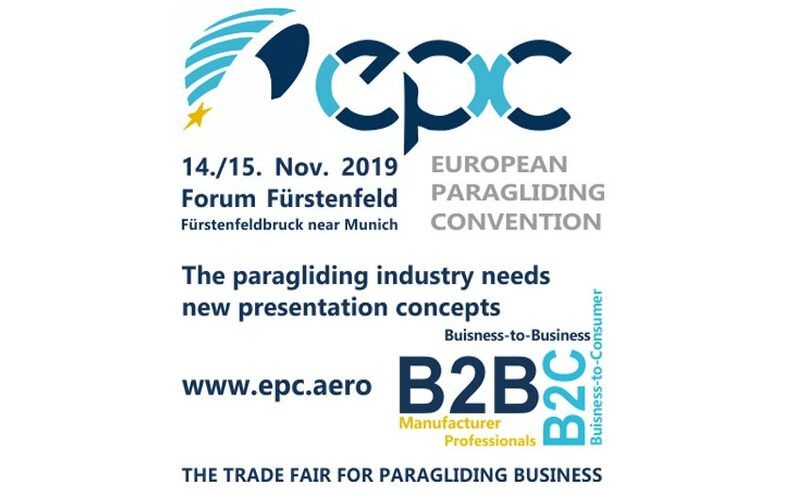 The cost above includes the competition entry fee, welcome and presentation dinners and a T-shirt, but does not include aerotow fees, retrieves or airport pick-ups. 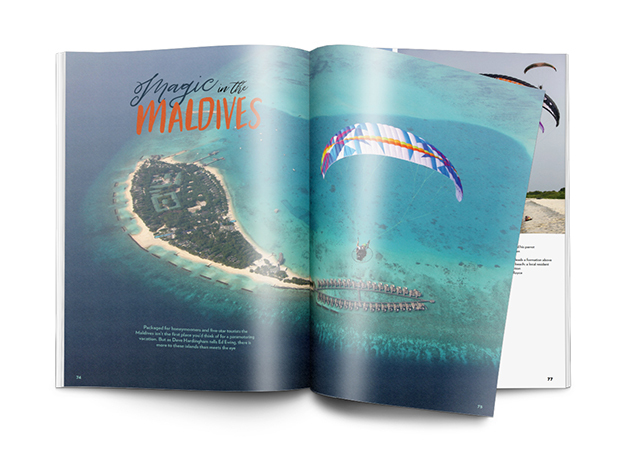 For more information or to register your interest, email Vicki at Moyes. 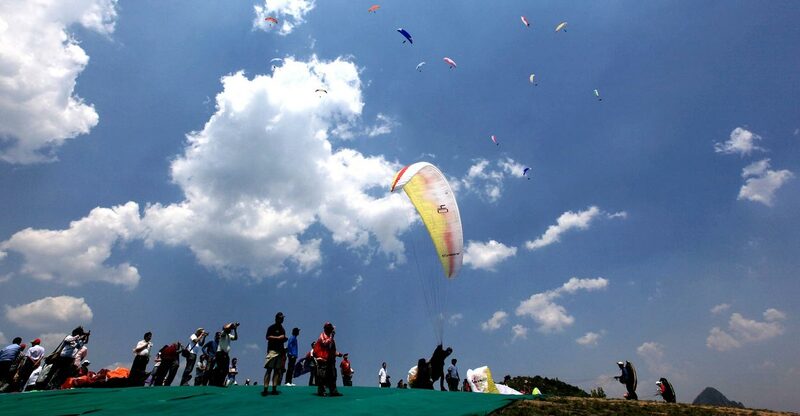 The second round of the 2019 Paragliding World Cup tour takes place at Linzhou, China, from 8-15 June 2019. 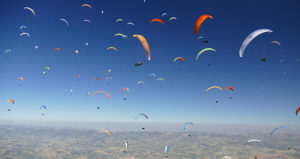 The third round of the 2019 Paragliding World Cup tour takes place at Manteigas, Portugal from 29 June – 6 July 2019. 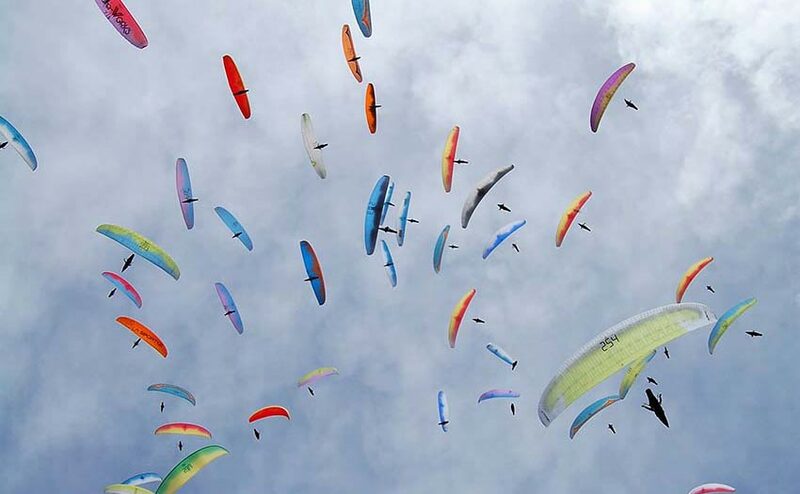 The fourth round of the 2019 Paragliding World Cup tour takes place at Pico do Gaviao, Brazil from 17-14 Sep 2019. 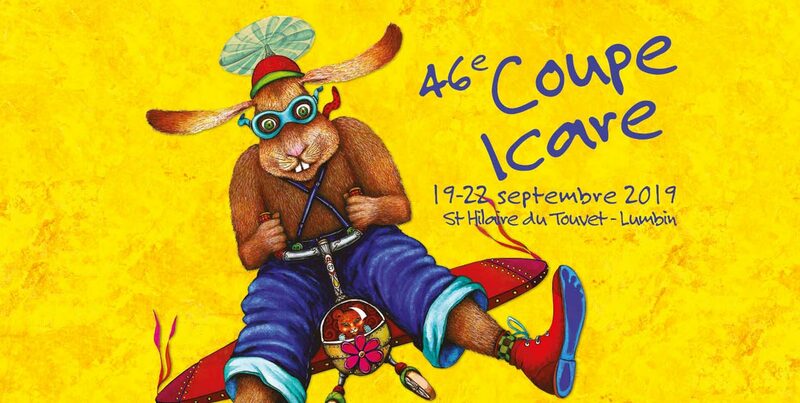 The magical mayhem of the Coupe Icare takes place on the third weekend of September at Saint Hilaire du Touvet and the Lumbin landing field near Grenoble in the south of France. This year’s festival pays homage to the great Leonardo Da Vinci, who died 500 years ago! There will be an exhibition at the church of Saint Hilaire and shows on the theme of the great Italian inventor. 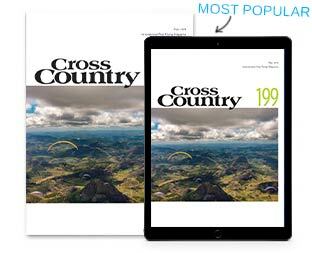 A huge trade show takes over two large marquees as well as outdoor stands; demonstration flights from all sorts of craft fill the sky, and the fancy-dress fly down is one of the event’s biggest draws, with some truly crazy costumes. Don’t forget the all-important film festival that runs throughout the long weekend. 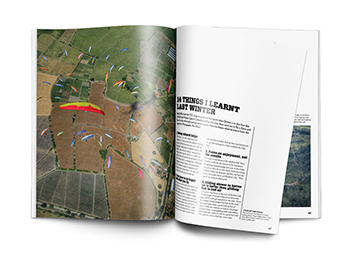 As well as all of this, the south take-off becomes a children’s wonderland, with activities from kite-making to science lessons to meeting birds of prey. Paragliding from the sites during the daytimes is restricted to fancy-dress competitors and authorised pilots, but plenty make the early-morning hike to the Dent de Crolles if conditions allow, for a morning fly down among hot air balloons. 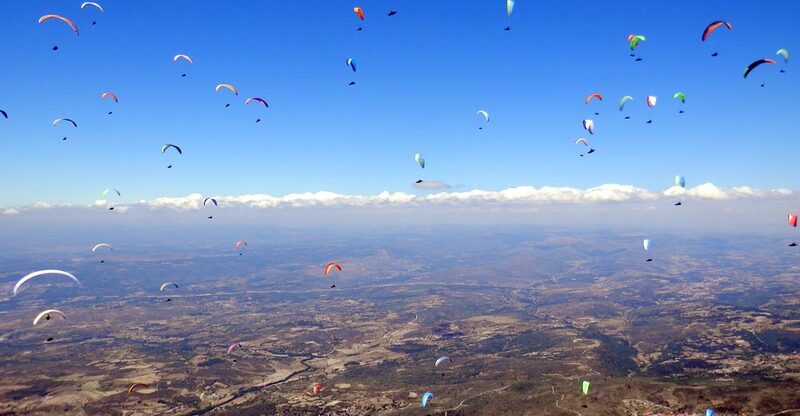 The fifth and final round of the 2019 Paragliding World Cup tour will now be held in Loma Bola, Argentina (the event planned in Mexico was cancelled).